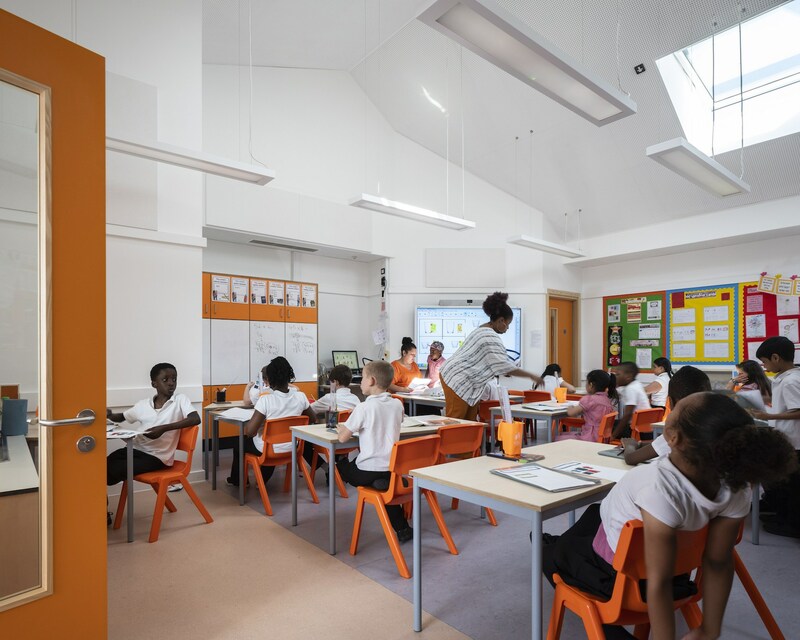 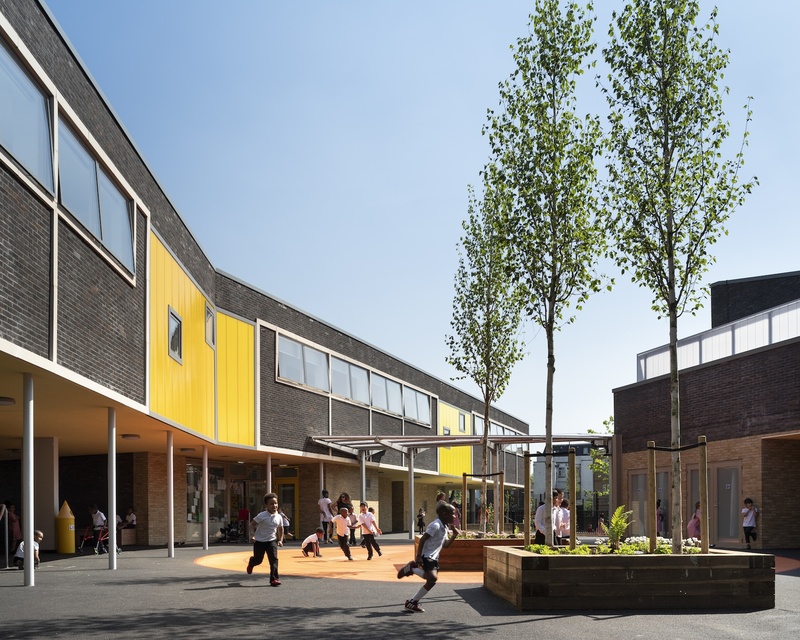 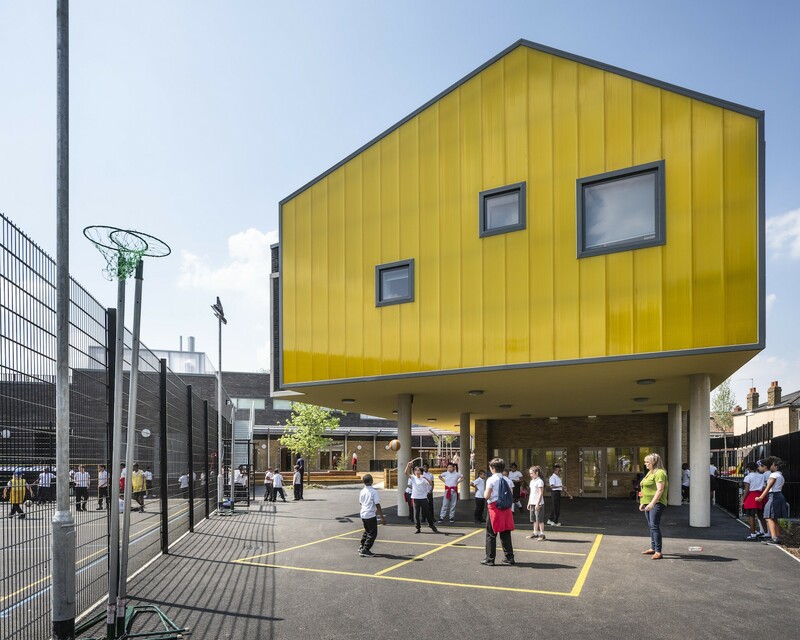 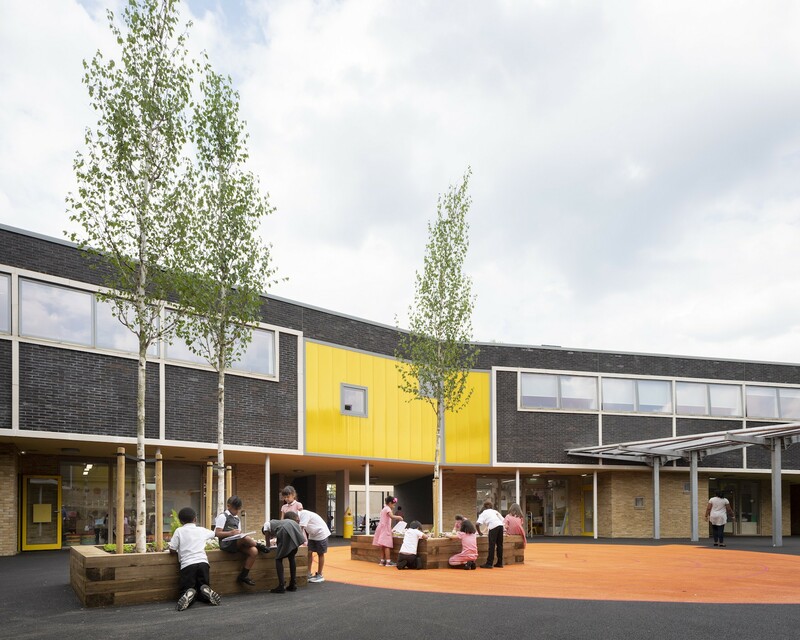 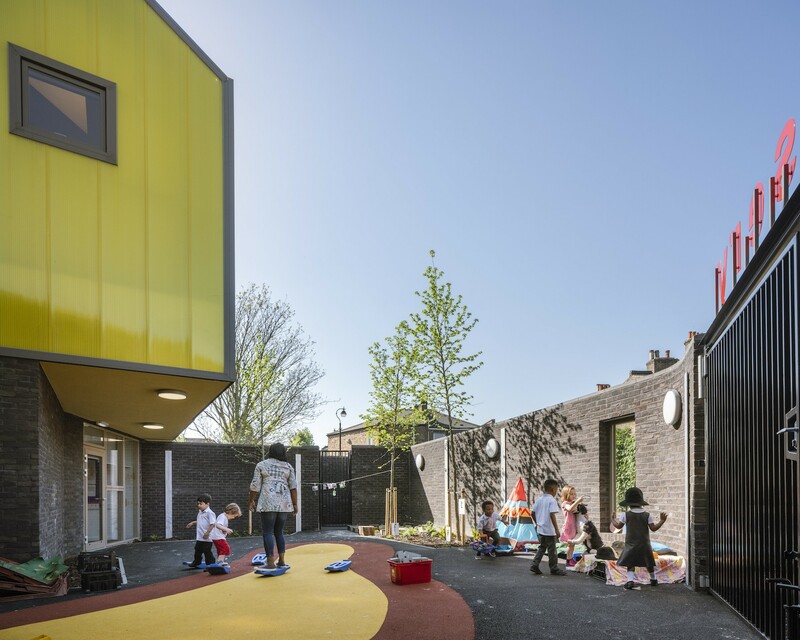 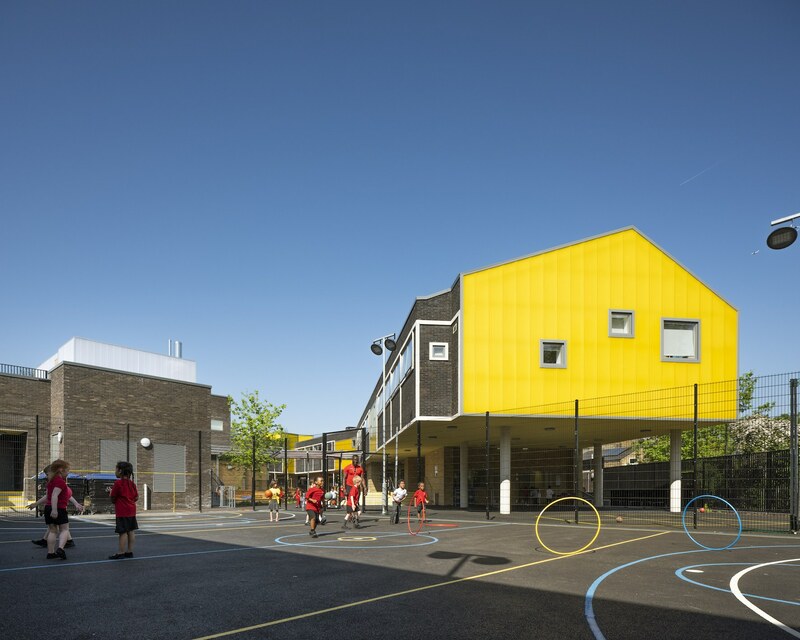 The newly completed Bellenden Primary School and nursery in Peckham Rye provides a series of exciting and stimulating spaces that have allowed the School to cater for rising pupil number by expanding from one to two form entry. 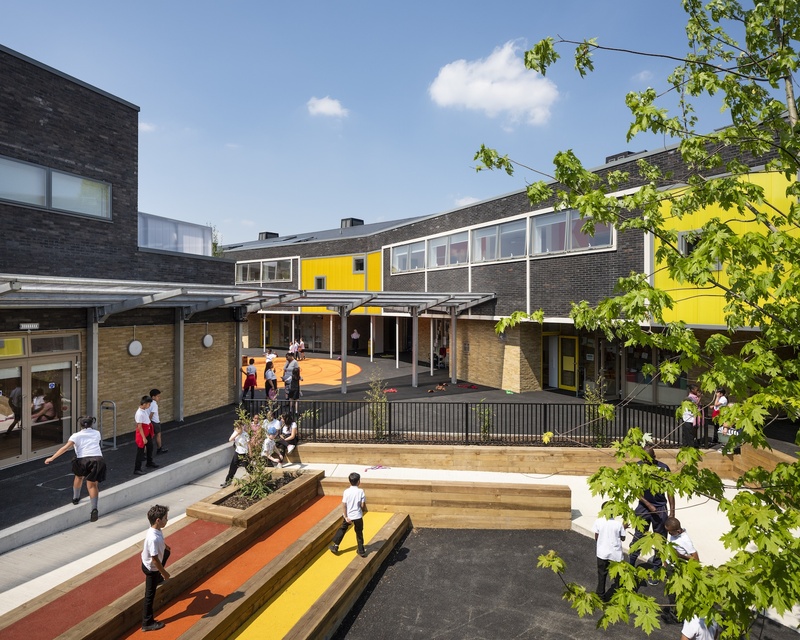 The new school occupies an island site surrounded predominantly by Victorian terraced streets, forming a U-shape that follows the perimeter of the site to enclose a welcoming playground within. 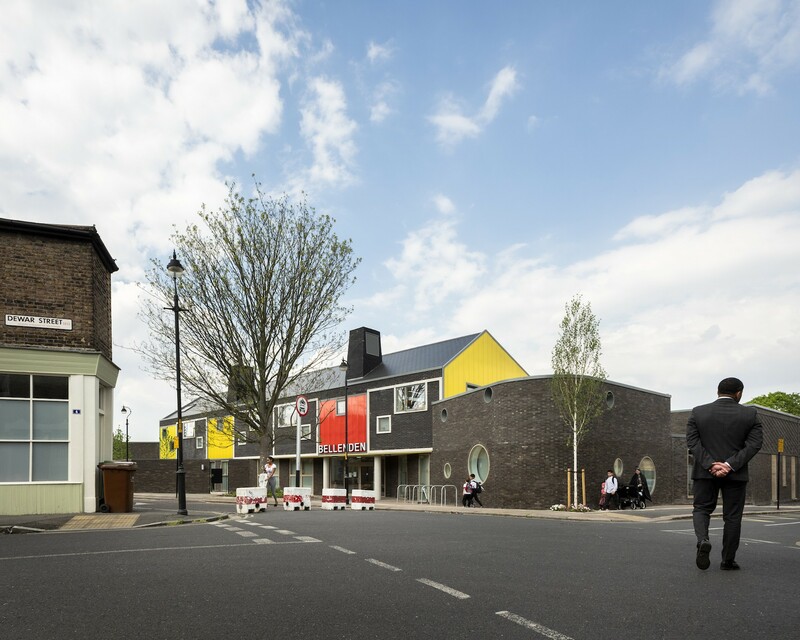 The grey brick boundary wall opens up to signal colourful and welcoming entrance elevation. 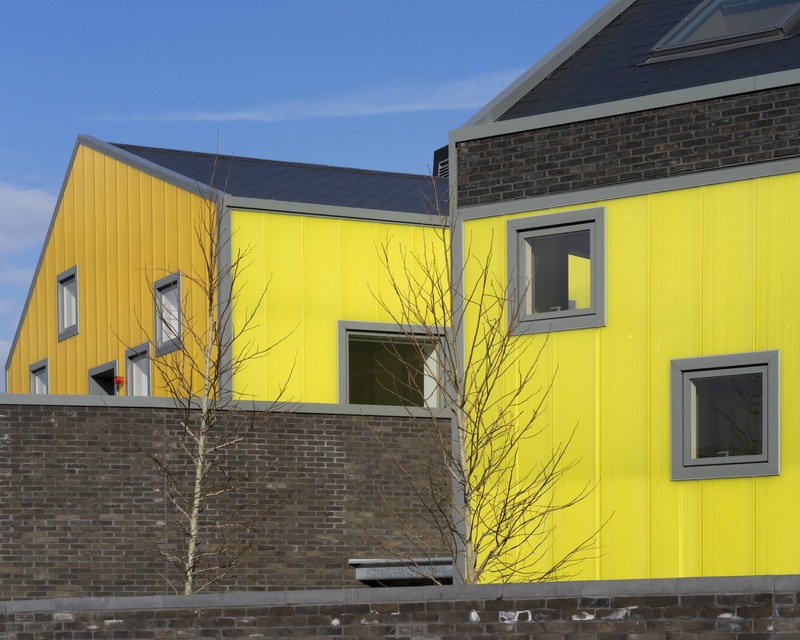 Large colourful panels on the first floor façade lend the school a vibrant and friendly presence when viewed from the surround streets or the playground. 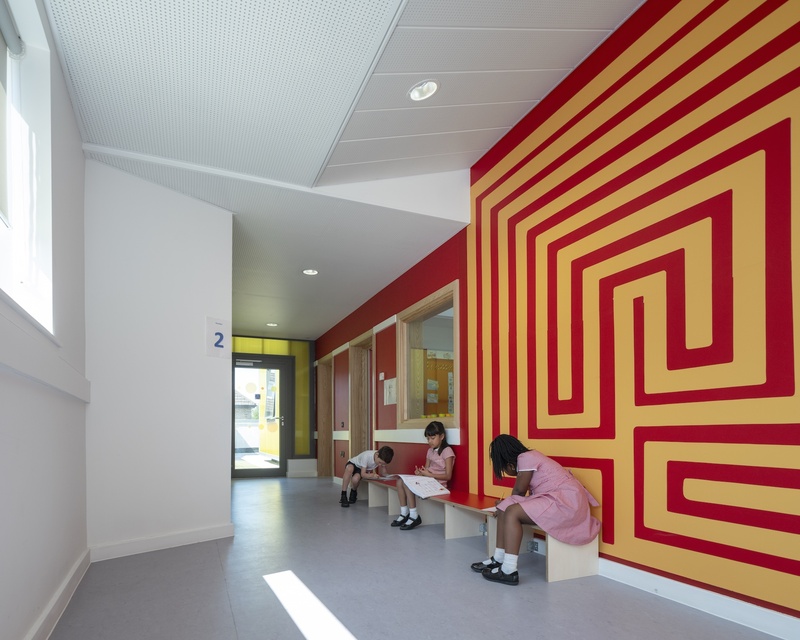 Classrooms are arranged in pairs by year group, each separated by a staircase that gives easy access to the courtyard and makes circulation as simple as possible. 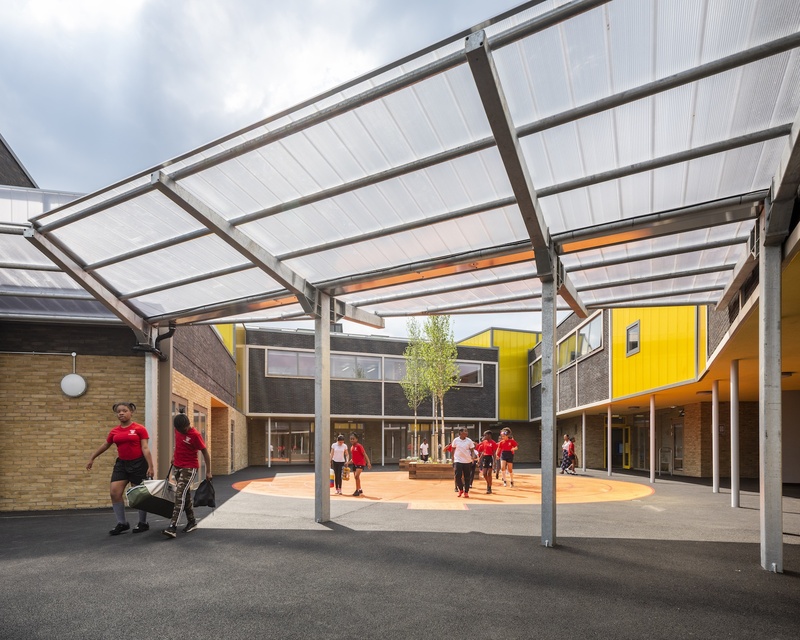 External play spaces have been maximised by creating two roof terraces with an undercroft beneath providing a sheltered area for outdoor play. 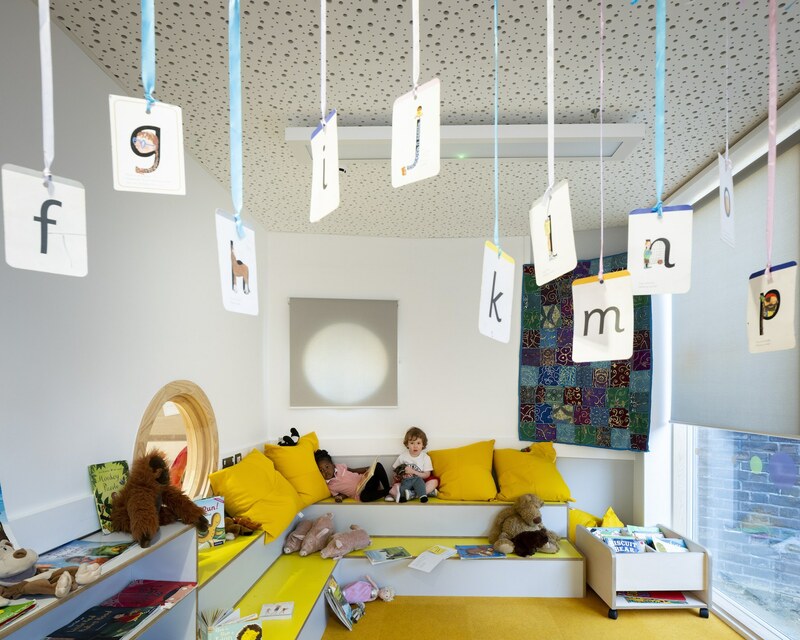 The reception class and nursery on the ground floor can be combined to bring the youngest children together, and can operate independently from the school. 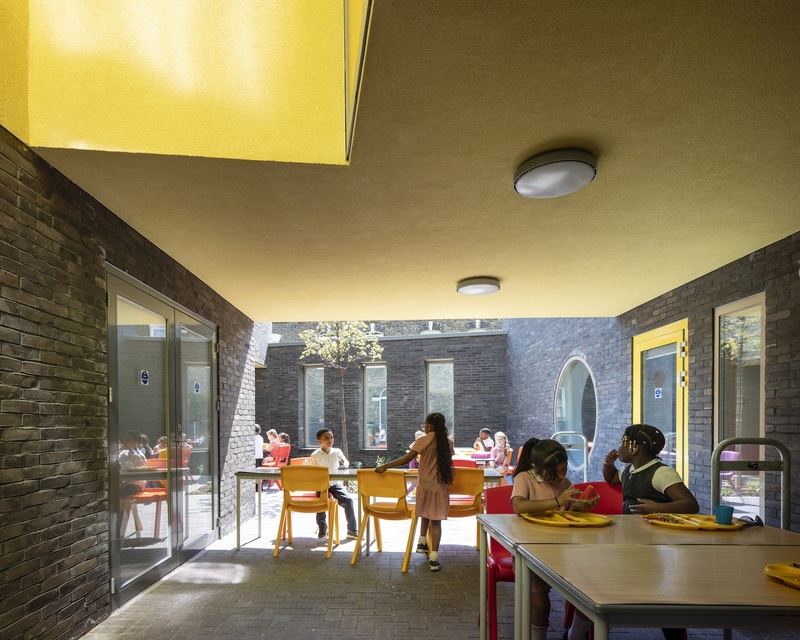 The main hall is a flexible space for dining, assembly or indoor games and opens onto two courtyards.